Following the review on the 1310 Seamaster 32kHz MegaQuartz this is the most collectible amongst all of the 1310 family - the "Mariner I". Truly speaking the "Mariner" name is more than likely only a nickname created by collectors because neither adverts from that era indicate this trademark. 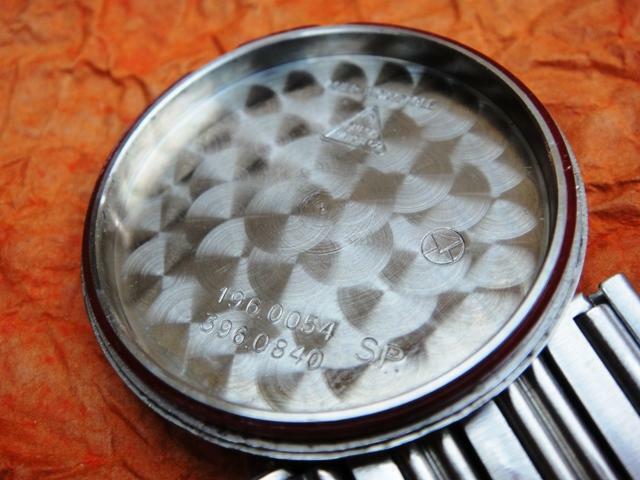 They were marketed as ultimate sports watches and the marine association probably results from the OSTAR yacht race in 1976 (Observer Single-handed Trans Atlantic Race). Two of these watches were fixed to the mast and keel of two vessels and neither Mariner lost a second after this extreme event. 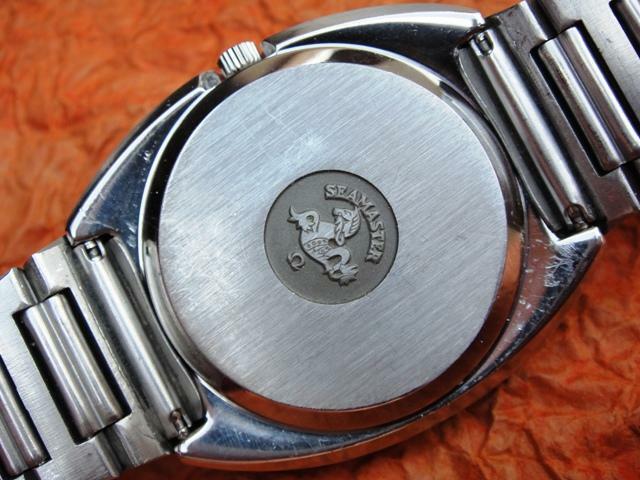 As this watch is considered sportish it's quite remarkable not to see a screwdown waterproof caseback. A snapback with red gasket was used, a gasket type which is still common on modern Omegas providing excellent tightness. 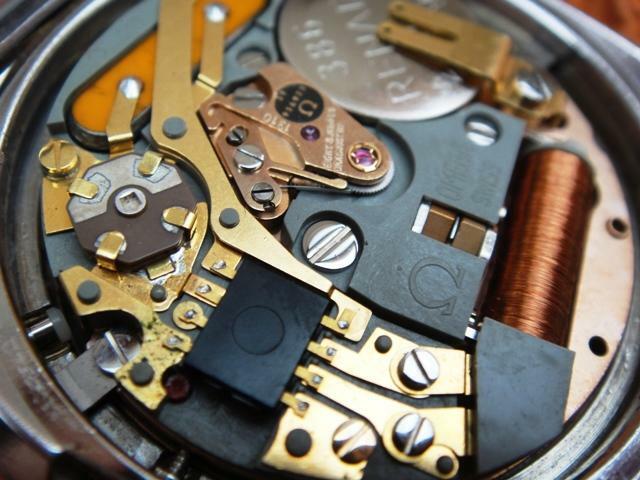 The movement is the 32kHz MegaQuartz type fitted to thousands of watches. 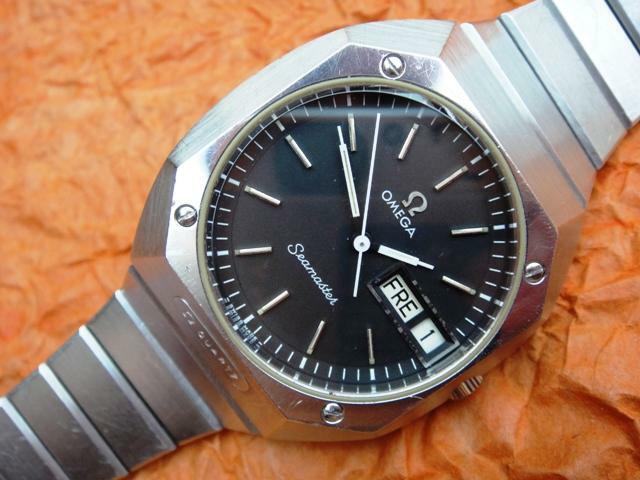 As there is nothing Mega in this calibre it's not that surprising that Omega dropped the MQ branding on later 1310 watches. 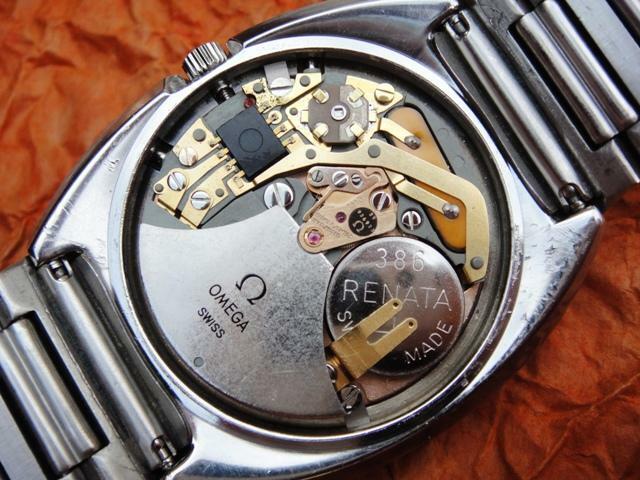 The only thing in common with the 1510 MQ is the Time-zone and Seconds-Adjustment system (TSA) which allows to correct or stop seconds with the button and also change hours without moving minutes and seconds. The Mariner is a pretty fresh acquisition in my collection and somehow it has a big chance of becoming my everyday watch... for some time at least :) PS. 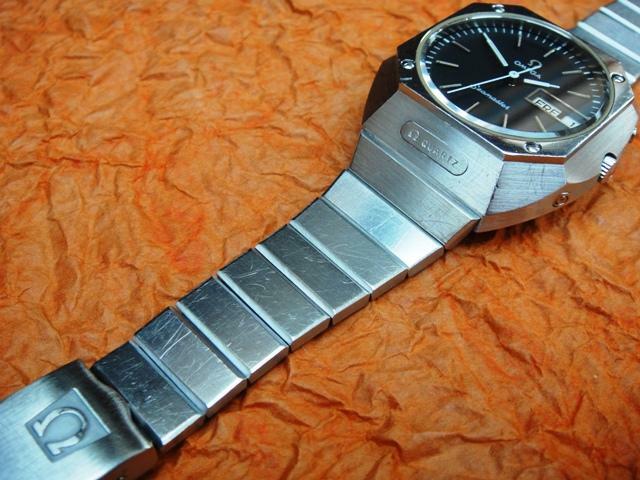 A side note... it's very surprising to experience a pretty narrow 15mm bracelet and buckle on a large 39mm watch case. Fortunately enough it looks good on the wrist.